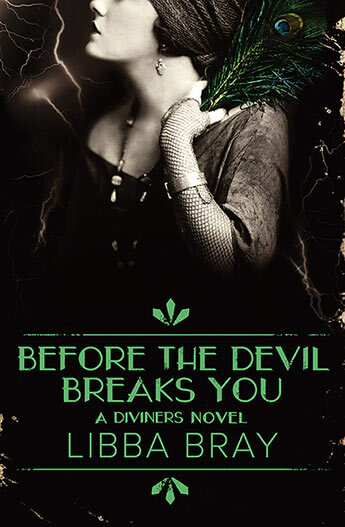 Libba Bray is the author of the New York Times bestselling Gemma Doyle Trilogy, which comprises the novels A Great and Terrible Beauty, Rebel Angels, and The Sweet Far Thing. 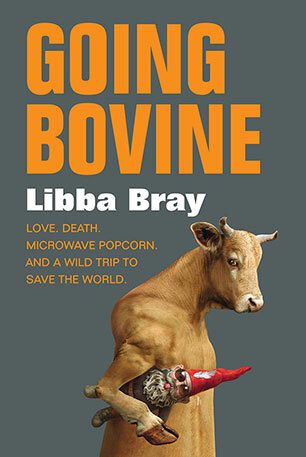 In 2010 she was awarded the Michael L Printz award for her satirical road-trip novel Going Bovine, which was also shortlisted for the Australian Centre for Youth Literature's Inky Award. Libba has written satire crossing Lost with America's Next Top Model in Beauty Queens, a finalist for the 2011 Los Angeles Times Book Prize, plus short stories about everything from Cheap Trick concerts to The Rocky Horror Picture Show devotees to meeting Satan worshippers on summer vacation. Libba lives in Brooklyn, New York, with her husband, son, and two cats, and is part of an all-YA author band called Tiger Beat (for realz). 10. I got married in Florence, Italy. My husband and I were in love but totally broke, so we eloped and got married in Italy, where he was going on a business trip. We had to pull a guy off the street to be our witness. It was incredibly romantic. Florence is still one of my favorite cities in the world. 11. My favorite way to write is to take my laptop, Lucille, (I name all my computers) and sit in my favorite coffeehouse with a hot cup o’ joe while listening to eclectic music mixes chosen randomly by the baristas. 12. I'm related to Davy Crockett on my mom's side. Honest. 13. I grew up doing theatre and spent a long time as a playwright. I still think very visually when I write. 14. Some of my favorite movies of all time (subject to change when I think of other movies I love) are All About Eve, Brazil, Blade Runner, Spinal Tap, Citizen Kane, Harold & Maude, To Kill a Mockingbird, Singin' in the Rain, and probably a million more that I can't think of right now. I have never made it through The Wizard of Oz without crying. Not once. 15. Naming my favorite books feels like naming a favorite child–impossible. But here's my list of some Y.A. books I love as of 4:03pm today. TITHE by Holly Black. TO KILL A MOCKINGBIRD by Harper Lee. CATCHER IN THE RYE by J. D. Salinger. 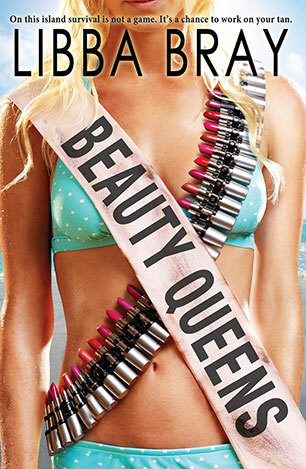 LORD OF THE FLIES by William Golding. 33 SNOWFISH by Adam Rapp. WHALE TALK by Chris Crutcher. BLOOD AND CHOCOLATE by Annette Curtis Klause. THE BELL JAR by Sylvia Plath (not really Y.A. but I read it when I was 16 and it rocked my world). SPEAK by Laurie Halse Anderson. 16. I love to be scared. Not "hey, I think I smell smoke . . ." scared, but creepy, paranoid, what's-that-out-there-in-the-dark, ghost story scared. It's no surprise that I was the girl who got invited to the slumber parties because I could be counted on to tell a tale to scare the bejesus out of you. 17. In homage to a book I just read entitled, FIVE MEN WHO BROKE MY HEART, I submit: The first boy who broke my heart (age 6) didn't want to sit next to me because I'd wet my pants in reading circle once and he thought I was gross. Damn my small bladder! The second boy who broke my heart (age 16) was a drummer with a band (the start of a trend, folks...) and he threw me over for a really cool chick I couldn't even bring myself to hate. The third boy who broke my heart (ages 20—24, ay yi yi . . .) was a strapping hunk of bodaciousness with the mind of Einstein. We had the exact same birthday, same year and everything. So the time he forgot to wish me a happy birthday was kind of the beginning of the end, I think. The fourth boy who broke my heart (age 25) was also a drummer. I had to stop with the drummers. 18. I'm one of those people who has to write. If I don't write, I feel itchy and depressed and cranky. So everybody's glad when I write and stop complaining already. 19. My Pennsylvania Dutch great-great-great grandmother was supposedly a psychic who could see and speak to the dead. Sort of a witch, I guess. 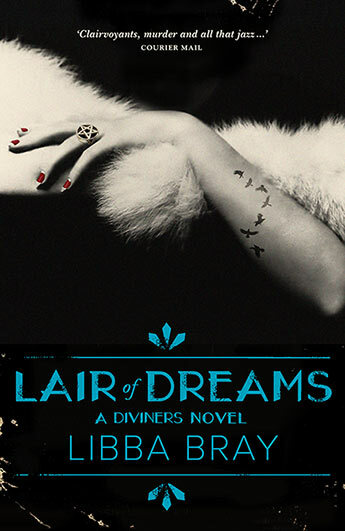 Her husband was an undertaker, and she would have these visions of someone bringing in a string of a particular size (people were measured for their coffins in this way) and it would come true. Creepy stuff, but fascinating. 20. If I were stuck on a deserted island, the five indispensable CDs I'd take would be London Calling by the Clash, Quadrophenia by The Who, Aretha Franklin's Greatest Hits, To Venus and Back by Tori Amos, and Elvis Costello's Greatest Hits. 21. I hate doughnuts. Weird but true. 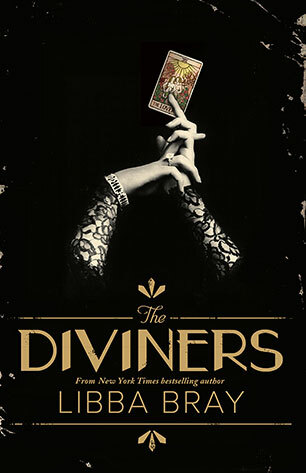 The Diviners are back and facing ghosts in this thrilling and eerie third instalment in the #1 New York Times bestselling series, set against the backdrop of 1920s New York City and the mysterious mental hospital on Ward Island. The second book in the New York Times bestselling series showcases a new evil descending on 1920s New York City, as teen psychic Evie and her similarly gifted friends go on the hunt for a demon bride. 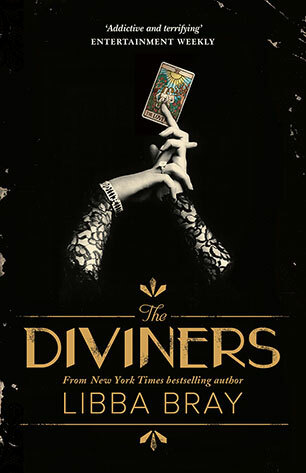 Cassandra Clare meets Kerry Greenwood meets Patricia Cornwell in this launch of a blockbuster series set in 1920s New York about a teen psychic and her similarly gifted friends on the hunt for a serial killer. When Cameron finds out he's sick and going to die, he embarks on the mother of all road trips through a twisted America to find out how to live and what matters most.